The Alliance recruits warriors from every world – wherever they can find beings who have come to hate the Empire’s tyranny. Together, these ragtag groups of recruits become Rebel Troopers, carrying out the fight against the Empire on dozens of worlds across the galaxy. The Rebel Trooper is well-used to embarking on stealthy missions, and above all, they’ve learned to trust the other soldiers in their squad with their lives. 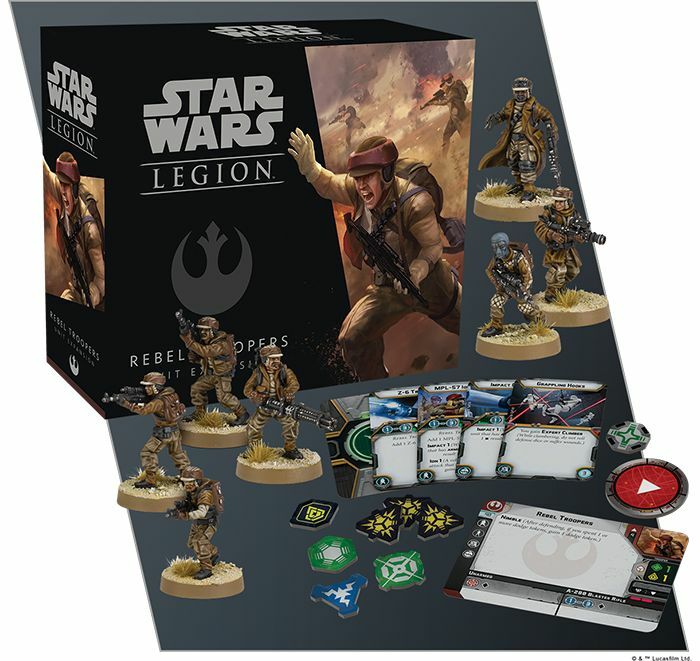 The Rebel Troopers Unit Expansion features a full unit of seven Rebel Trooper miniatures, identical to the Rebel Troopers included in the Star Wars: Legion Core Set. 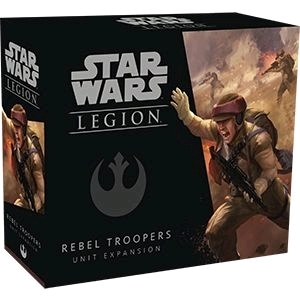 This expansion also includes the unit card and an assortment of upgrade cards, inviting you to kit out your Rebel Troopers for any battlefield scenario.